Five months ago the Artscroll iPad App was introduced in the iTunes App market. Today, we are excited to announce that the iPhone and iPod Touch universal version is available for download. You can download the app for free over here. The iPhone / iPod Touch version has all the same features as the iPad version but is designed to work on a smaller screen. It is a great way to catch up on the daf or prepare for your shiur while waiting in an elevator, taking a cab or between mincha and maariv in shul. Those who have downloaded the iPad version will automatically be able to get the iPhone version as well. It is the same iOS app, but smart enough to detect the device running the app and adjusts the user interface based on the device being an iPad versus and iPhone or iPod Touch. Whatever content you've purchased should automatically be downloaded to the iPhone versus and visa versa by clicking on the restore button within the app. 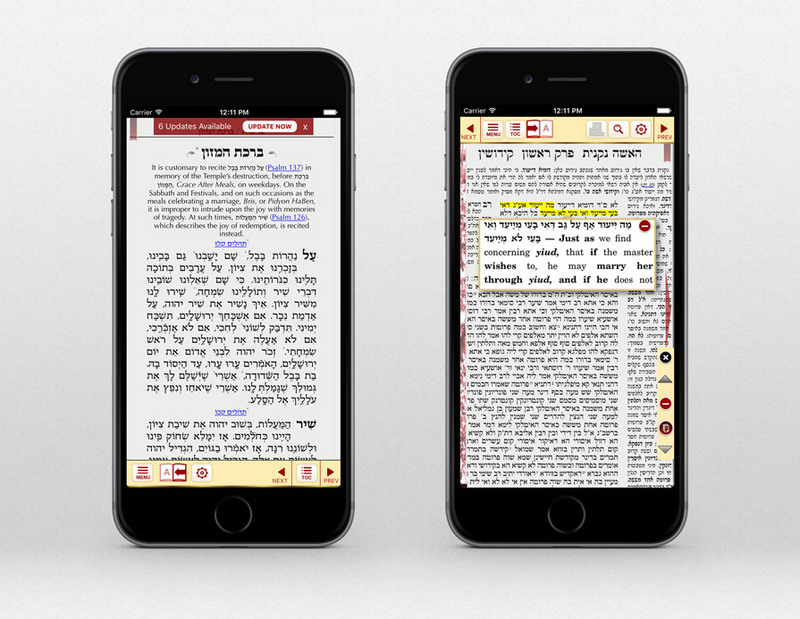 All the content should sync over right into the Artscroll Digital Library.